Claire Jean (Bauer) Wilson, formerly of Wild Rose, passed away Saturday, June 23, 2018 surrounded by her family. She was born April 22, 1927 in Milwaukee. She enjoyed volunteering at the Wild Rose Historical Society. Claire loved gardening and spending time with her grandchildren and great grandchildren. 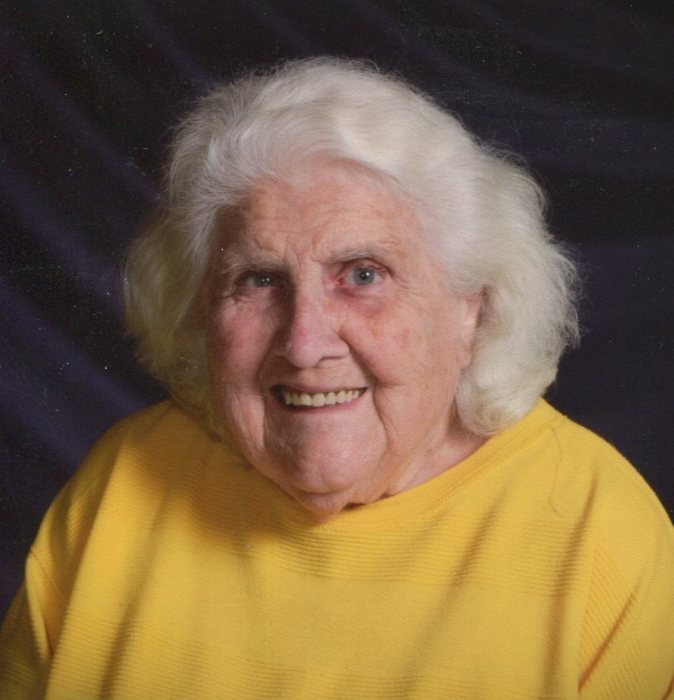 She was a faithful active member of St. Joseph Catholic Church in Wautoma. Claire was a member of the Brothertown Tribal Nation, which she enjoyed watching her children and grandchildren become involved in their Native heritage. She was preceded in death by her husband, Ellis Clarence, of 46 years. She was also preceded in death by her parents, E. Paul and Esther A. (Wiegner) Bauer; her siblings, Edward, Carl, Mary Ann, Rose and Ted; her brothers-in-law, Robert Andler, Phil Pettit, and Byron Opperman. Claire is survived by her children, Lawrence (Sue), Peter, June, John (Heather), and Connie; two sisters, Caroline and Karren; sister-in-law, Judy. She is further survived by 10 grandchildren, 12 great grandchildren, many nieces, nephews, other relatives and dear friends. A Mass of Christian Burial will be held on Wednesday, June 27, 2018 at 10:30 a.m. at St. Joseph Catholic Church in Wautoma. Burial will be in Calvary Cemetery, Wautoma. Visitation will be held on Tuesday from 5:00 until 8:00 p.m. at Leikness Funeral Home in Wautoma and on Wednesday at the Church from 9:30 a.m. until the time of services. The Rosary will be recited at 7:30 p.m. Tuesday at the Funeral Home.